The most recent Samsung wearable device, the Galaxy Watch is on sale once again, but this time you'll be able to get it much cheaper than the usual. Although the smartwatch is still selling for $350 at many retailers in the U.S. Amazon has it for much less than that. The Midnight Black and Rose Gold Samsung Galaxy Watch (42mm) are getting a 20% discount on Amazon, while the 46mm model is just $10 more expensive than its smaller brothers. These are U.S. versions, which come with a 1-year warranty (standard parts and labor). Also, included in the box, there's an additional silicone strap (large and small included), a wireless charging dock, and a travel adaptor. According to Samsung, the battery life for the 42mm model is roughly two to three days, but results may vary depending on how you use it. The same goes for the 46mm variant which should offer three to four days of battery life. 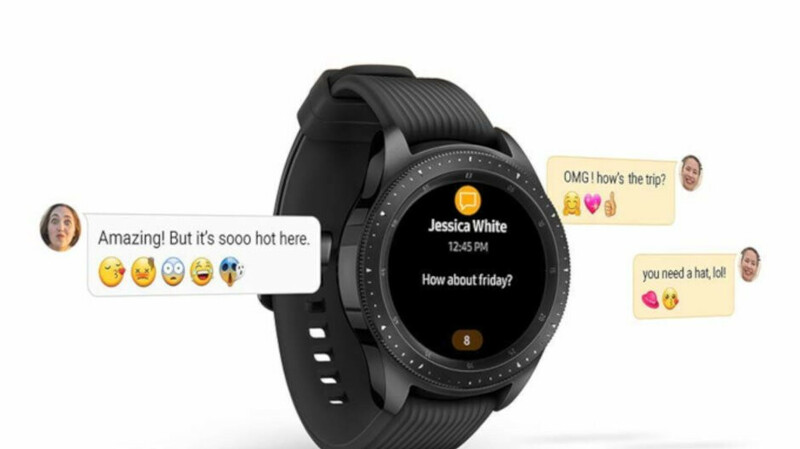 Even though Samsung recommends customers to pair it with Samsung Galaxy smartphones, the Galaxy Watch is compatible with many other Android and iOS phones. I'll hold on to my S3 Frontier...the newer samsung watch took out the MFT reader, which I use at a few payment terminals that do not have NFC.